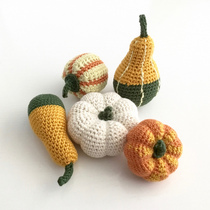 Here are all my pumpkin and gourd patterns - a collection that will be growing over time! 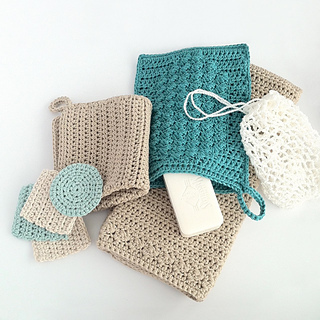 This is a bundle of my crochet patterns for a complete, matching bathroom set. 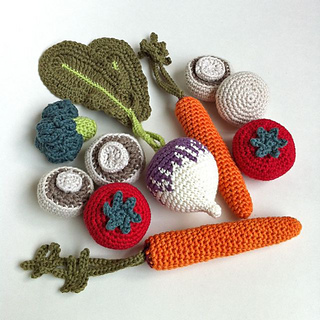 Buy all 5 patterns in this bundle for a £4 (40%) discount on the total price. I have designed this to include everything you might want to make for your bathroom or as beautiful gifts for a wedding, house-warming or other occasion. All these patterns are designed to be as easy to work as possible, and they are good projects for beginners who want to create something that will really reward their effort. The washcloths, mitt, hand towel and cleansing pads are all made with double-knitting (DK, light worsted weight, Category 3) yarn. 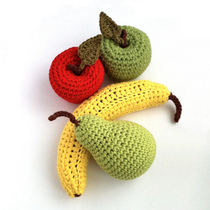 You will need a 4.5mm (size 7) crochet hook and a 5mm (size 8-H) crochet hook for these items. For the laundry bag, you will need No 10 crochet cotton, and a 2.5mm crochet hook. You will also need a blunt, yarn needle for these projects. The pattern includes detailed notes on yarn choice. The UK pattern names suitable yarns currently available in the UK that work perfectly for this pattern. Each of my crochet patterns includes BOTH a detailed ‘tutorial-style’ set of instructions with colour photos, AND a succinct unillustrated pattern using standard crochet conventions. I also hate weaving in yarn ends, so all my pattern are designed to involve a minimum of this. The patterns are all available in both UK and US crochet terminology. You can purchase single patterns for individual items from this set if you prefer - please see my other patterns. Once purchased, these patterns remain the copyright of Little Conkers. You may not reproduce all or any part of these patterns. Please do not sell items made from these patterns, without express prior permission and credit. Here are all my fruit patterns! Buy all three patterns at a discount. Buy any three of the single vegetable patterns shown at a discount compared to individual prices. Click here to add both patterns to your basket. 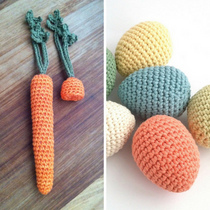 Great patterns for completing your spring décor - a carrot for visiting bunnies (including ‘bitten off’ version) and a perfectly-formed egg pattern.